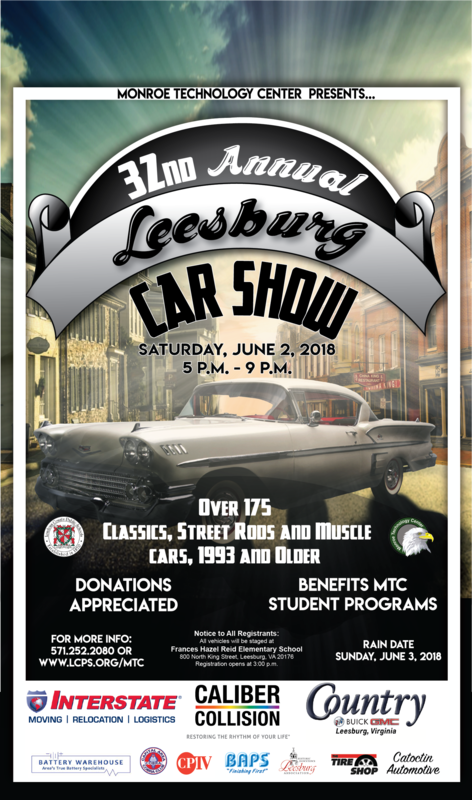 The Leesburg Car Show is on June 2, this coming Saturday. Joe Drumheller made a contribution again this year so the CACC logo is on the poster. Registration begins at 3:00pm at Frances Hazel Reid Elementary just north of town just off route 15. Show has been CANCELLED per Facebook page. Do not show up.